Press release: The first steps in the formation of a new communication and discussion platform for the international timber industry were taken in Rome last week – the aim, to improve networking and knowledge sharing in the sector worldwide and strengthen its market presence and political profile. The launch meeting of the Global Timber Forum (GTF) took place at the headquarters of the Food and Agriculture Organisation of the United Nations (UNFAO). It was attended by over 80 delegates from 40 countries; a mix of industry organisations and private sector representatives. The event was co-convened by the UNFAO, The Forest Trust/Timber Trade Action Plan (TFT/TTAP) and the European Timber Trade Federation (ETTF). It followed the unveiling of the GTF concept during the Global Wood Mart in Kuala Lumpur last autumn. Over the course of the two-day Rome meeting, delegates addressed a range of other areas where the GTF could make a contribution and impact. 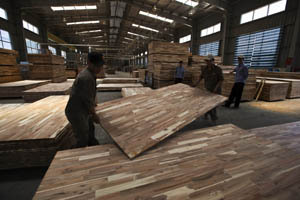 Several speakers developed the theme of the GTF’s possible role in helping the industry cope with the proliferation of anti-illegal timber regulation. By promoting greater coordination between their criteria, it could make the various national and regional rules easier to work with and ultimately more effective. 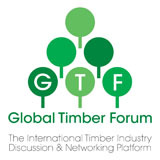 Delegates also saw the GTF as a channel for sharing marketing expertise and developing common international promotional themes and messages, to increase end-user understanding about sustainable sourcing and the use of timber. It could also highlight and explain timber’s further major potential in the drive to sustainable ‘green building’, as the ultimate renewable construction material. Another focus was maintenance of the forest resource, and the GTF’s potential for highlighting how sustainable timber production can be part of the solution, by providing a commercial incentive to retain and increase tree cover. “By attaching value to the forest and sustaining local livelihoods, it can play a key role in its renovation and preservation,” said UNFAO Assistant Director General Forestry Eduardo Rojas-Briales. The conclusion of the meeting was that the GTF should now look to the development of a long-term structure, and appointment of an advisory board. It should also establish a communications and media strategy. This could include the creation of a website and possibly a newsletter, organisation of meetings and participation in other industry events. Mr de Boer said the ETTF would underwrite the initial development of the GTF. The goal would then be to secure wider industry sponsorship in the form of “small amounts from a large number of supporters”.